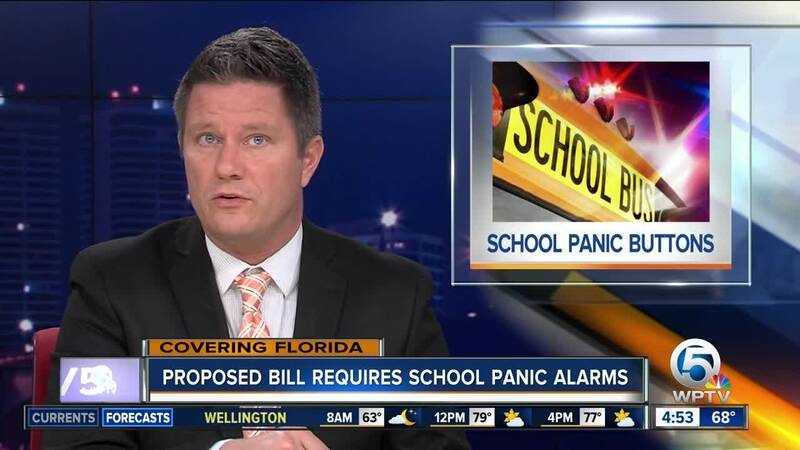 A proposed bill would require silent panic alarms in every public school in Florida. TALLAHASSEE, Fla. — A proposed bill would require silent panic alarms in every public school in Florida. The alarms would be used in the event of an active shooter situation or other emergency. The measure, called "Alyssa's Law," is named after Alyssa Alhadeff, one of the students killed in the Marjory Stoneman Douglas High School mass shooting on Feb. 14, 2018. It was filed in December by State Sen. Lauren Book, a Democrat from Plantation, and would require every building on the campuses of public elementary, middle, and high schools in Florida to be equipped with at least one panic alarm. A similar "Alyssa's Law" was just signed into law in New Jersey on Wednesday. "Alyssa’s death is a stark reminder of the dangers of gun violence and the need for adequate school security measures," New Jersey Gov. Phil Murphy said in a statement. "In New Jersey, we will do everything in our power to prevent these tragedies from occurring within our borders." The proposed bill in Florida defines a panic alarm as a "silent security system" that would notify law enforcement of an emergency. If passed by the Florida Legislature, the law would go into effect on July 1.